“Classique” by Draeger Frères, Paris, c.1949. 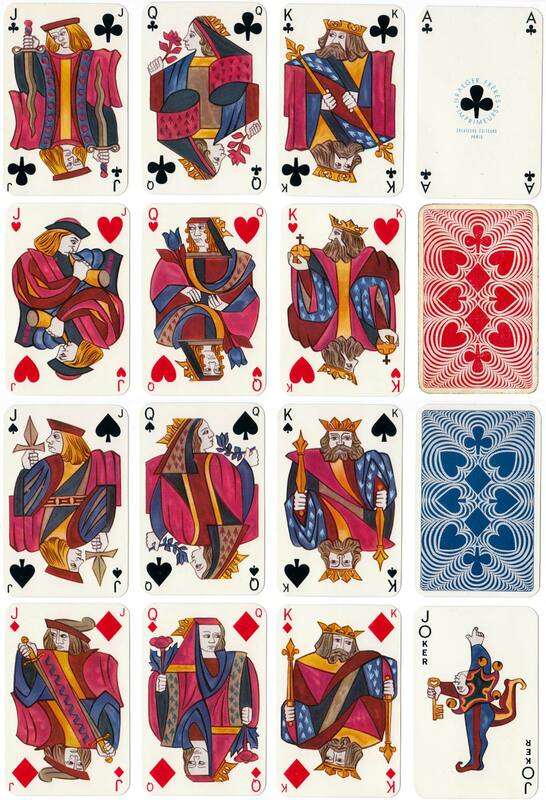 The court cards are modern designs reminiscent of very early French cards. Above: “Classique” by Draeger Frères, Paris, c.1949. 52 cards + 2 jokers, gilded corners. Several different editions are known, including some with advertising on the backs. Images courtesy Rex Pitts.